In the late 1950's a legendary percussionist had started the rock-n-roll movement in the Midwest with undeniable class, and style. Providing the backbeat for artists Chuck Berry, and Ike and Tina Turner. In the early 1960's that legendary percussionist passed on his talent to his legacy Lightning Strikes. Lightning born, February 17, 1963 immediately began showing signs of being a percussion prodigy, learning stick handling at the age of one. At the age of three Lightning had already mastered snare drum rudiments, within one year the percussionist had moved onto a full size kit. At age five he was enrolled into a percussion training school. Within two classes though the budding prodigy was already well ahead in the art than any of his peers. Lightning had acquired more knowledge from his legendary father than anyone had realized. Learning intricate rhythm patterns, stick handling techniques, and foot rudiments that can only be truly learned through constant practice, and continual guidance from a professional entertainer. In 1968, at the young age of five, Lightning began performing professionally on stage with some of the best musicians in St. Louis. 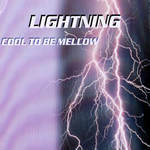 During the next few years Lightning, would perform, and continue honing the skills he acquired throughout his teenage years. Eventually forming a few groups that performed locally throughout the bi-state region at many prominent venues such as Club Imperial, and Stages. One of these groups Lost Cause, eventually ended up starting Lightning on his path to recording music. 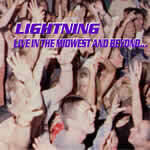 After recording the group Lost Cause disbanded, Lightning then performed with various talented musicians throughout the late 1980's, and early 1990's. 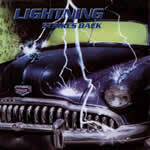 In 1995 Lightning decided to form the group OUTTALINE, making a few calls to some local musicians whom he had come in contact with throughout his carreer, OUTTALINE performed for two years. Realizing that the musicians didn't have the drive to succeed, Lightning shelved the OUTTALINE project. 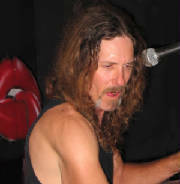 In 1997, Lightning was asked to join Lickity Split, where he met up with bassist Action Jackson. The duo instantly clicked and formed one of the tightest rhythm sections in the area. Lickity Split performed for about three years before the duo parted ways to persue other projects. 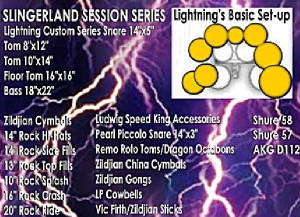 In 2000 Lightning decided to use the OUTTALINE project once more with a few different musicians. The group instantly became popular in the Midwest. After about two years of performing, Lightning realized that the members were not really interested in taking the group to the next level. 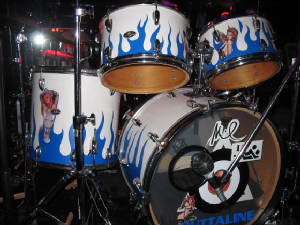 In 2002, Lightning called upon his longtime friend, and bassist Action Jackson to see if he would be interested in joining OUTTALINE. Action Jackson agreed that reforming the rhythm section between the two would be a great experience. The duo then held auditions for a guitarist that could handle the direction that the band would take. Lightning, and Action Jackson found a left handed six string grinder with the potential to take the band OUTTALINE to the next level. Psycho brought a different style of performing to the group. 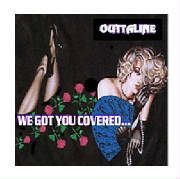 OUTTALINE began working on the debut release "WE GOT YOU COVERED" which was released in 2003. Action Jackson's relentless work on contributing to the disc, garnered the group the hit single "Chainsaw" which was picked up by commercial airwaves across the nation. In 2004, OUTTALINE recorded a live dvd. The dvd included the video for the single "Chainsaw" which was picked up by VH1, and Fuse TV gaining the group a larger fanbase, and a strong foothold in the entertainment industry. 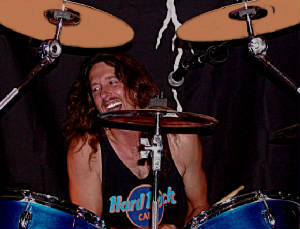 LIGHTNING STRIKES, WORLD RENOWNED PERCUSSIONIST / DRUMMER IS THE FOUNDING MEMBER OF THE FULL THROTTLE RECORDING ARTISTS, OUTTALINE. OUTTALINE WAS ORIGINALLY FORMED IN 1995, AND HAS BEEN SCORCHING STAGES ACROSS THE UNITED STATES WITH HOT GUITAR HOOKS ALONG WITH INFECTIOUS GROOVES. HAILING FROM TROY, MISSOURI COMMERCIAL RADIO STATIONS HAVE MONIKERED OUTTALINE AS THE TOP PERFORMING ENTERTAINERS IN THE MIDWEST.